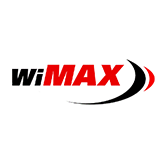 WiMAX is one of the most recent broadband wireless technologies and is based on IEEE 802.16 specification. It delivers high quality broadband services. This tutorial will explain you the fundamentals of WiMAX. This tutorial is useful for beginners who wish to understand the basic concepts of WiMAX. Before starting with this tutorial, users should have an understanding of basic terminologies used in Telecom domain.